Craving bean soup? There are so many different bean soup recipes to choose from. 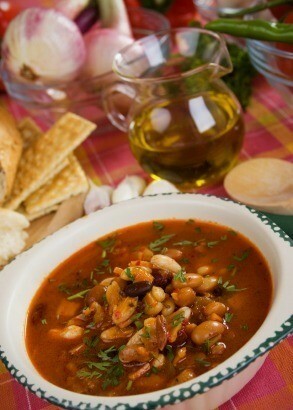 This page contains bean soup recipes. Heat a large saucepan over medium heat. Add 1 tablespoon of the oil and onions and cook until onions are tender, about five minutes. Meanwhile, heat the other 1 tablespoon of oil in a small skillet or saucepan. Add curry and ginger to skillet/saucepan oil and stir briefly (this intensifies the flavor of the spices). Add spice and oil mixture to the oil and onion mixture and stir. Add beans, tomatoes, water and stir while bringing to a boil. Reduce heat to low and simmer 15 minutes. 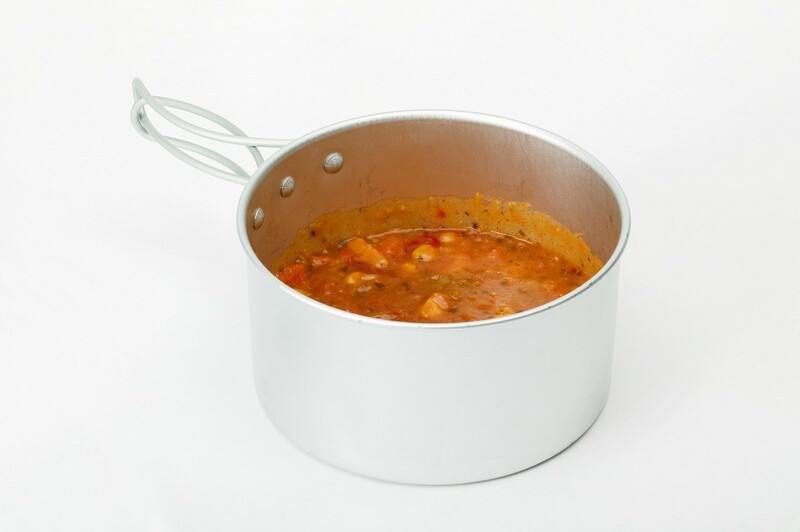 Soak beans overnight in 6 cups water in large saucepan. Add remaining ingredients except tomatoes. Simmer for 2 1/2 hours or until beans are very tender. Remove ham bone. Cut ham from bone and add to soup. Mash beans. Stir in tomatoes. Simmer until hot. Brown sausage in skillet. cut into bite sized pieces. Combine everything except the sour cream, in large pot and simmer for about an to make sure the flavors all blend well. Remove from heat and let cool about 5 minutes. then stir in the sour cream and serve! This soup is SPICY but has great flavor. If you don't want as much heat, then use regular diced tomatoes without the chiles. If you want more heat then dice one pickled jalapeno pepper and add with rest of ingredients. salt (begin with at least a teaspoon) and plenty of black pepper to taste. In the morning, put everything in a large crock pot and turn on low for 8 hours, at least. The longer the soup cooks, the mushier the beans will be. I usually mash about 1/4 to 1/3 of the cooked beans to make a nice, thick soup. 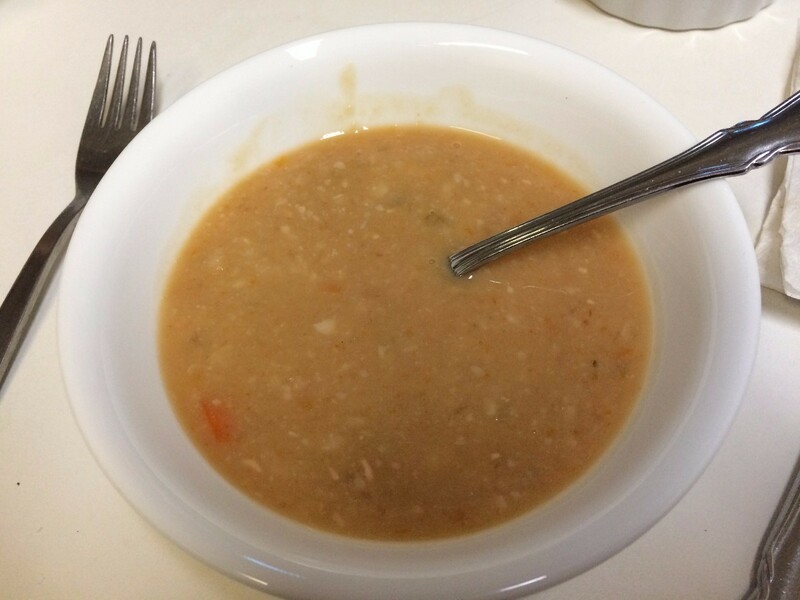 The good, old fashioned hillbilly way (which is the best, in my opinion), in a large soup bowl, pour soup over a nice piece of buttered, yellow corn bread, sprinkle with chopped, sweet onions, and have some sliced, fried potatoes, nice and crispy brown. Somehow, I doubt if this is on the Adkins diet. If you love a spicy-tasting bean soup, you will love this! Very cheap and goes a long way! Rinse beans. Place in dutch oven with water. Bring to boil over high heat; boil 2 minutes. Remove from heat, let stand 1 hour. Add remaining ingredients. Simmer; covered, 1 1/2 hours or until beans are done. Soak beans and simmer. Mash half tender beans. Simmer ham for 1 hour in water just to cover. Remove meat from bone (should have 1-2 cups). Cover carrots and celery with 2 cups boiling water; add onion. Cook until crisp tender. Instead of mixing the beans together, you can layer the beans. Very pretty! Just use about 1/8 cup of each bean until you fill the container. Add salt to beans and cook until soft. Pour off water. Add milk, butter, pepper and more salt, if desired, and heat through. Serve with toasted bread crumbs on top. Saute onion, celery, carrots, and garlic until transparent. You can also use any veggies you have in refrigerator. Add sliced kielbasa. Then add tomatoes, white beans, rinsed, kidney beans, and garbanzo/fava beans. You can also use any beans and veggies in the cupboard. In a large saucepan or Dutch oven, saute onions, leeks and garlic in olive oil for about 5 minutes over medium-high heat. Add beans, potatoes, 1/4 tsp. of thyme and 1-1/2 cups of vegetable broth; simmer 20 minutes. I made a huge pot of bean soup and burnt it. It has a horrible taste now. Is there any remedy? Thanks. If you know you have burnt it, without stirring (which will mix up the burned stuff) pour off the main part on the top. Just DON'T STIR...that will mix it! You should be able to at least salvage the part that is on the top. Once all is mixed from stirring, however, there is not much that can be done. As another poster said, I use a crock pot for that type of cooking! I would like recipes for soups without meat, but with beans: black, red, white, on and on. It can be done in a crockpot or hand blended. I've posted a link to this recipe before -- it's wonderful! It has no meat, and no added salt. Very flexible and forgiving. I've used canned beans or dried beans (adjusting cooking time). I've used veggies fresh from the garden, and I've added other veggies that I happen to have on hand. I never use the blender on it. I like to offer lime wedges to squeeze over each bowl, and reduced fat cheddar and reduced fat sour cream. I've also had chopped up avocado to sprinkle over the bowls of soup. It's always good! I make this soup all the time. Inexpensive, filling, and easy to make. It's made with lentils but you could substitute white beans if you prefer. Saute chopped carrot and onion in a little olive or vegetable oil over medium heat until onions turn clear. Add canned tomatoes and other ingredients plus 3 cans of water. Season with vegetable boullion, 1 tsp oregano, 1 tsp marjoram, bay leaf, and 1 tsp turmeric. Bring to a boil and then simmer for 45 minutes to an hour until ingredients are tender. Salt and pepper to taste. Add more water if necessary. A simple soup recipe that you can make with your kids. This page is about making Davy Crockett soup. This healthy bean soup is easy to make and no bean soaking is necessary. Throw all the ingredients into a slow cooker and a delicious dinner will be ready for you when you get home.